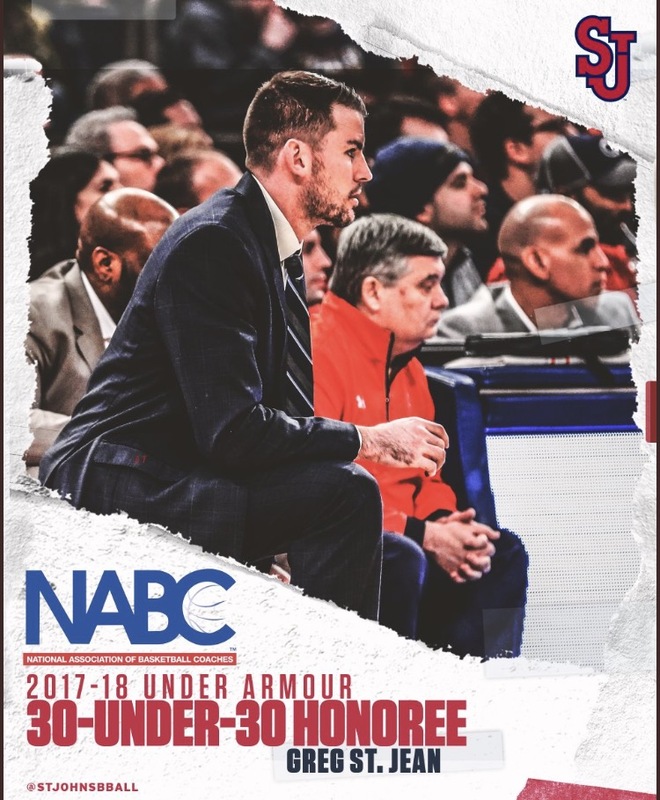 St. John’s Red Storm men’s basketball assistant coach Greg St. Jean has been named to the National Association of Basketball Coaches (NABC) 30-under-30 list for 2017-18, which recognizes a group of up-and-coming young coaches in college basketball. St. Jean is among 15 Division I coaches and one of just two from the Big East Conference to receive this distinguished honor. St. Jean, who recently completed his third season at St. John’s, primarily manages the Red Storm’s player development program, scouting and game planning responsibilities, as well as the team’s video operations and statistical analysis. During his tenure in Queens, three Johnnies have been named to the All-Big East Freshman Team, including Shamorie Ponds who this past season elevated his game to All-Big East First Team status and led the conference in scoring. St. Jean has also been instrumental in the development of transfers at St. John’s. Most recently, he helped Marvin Clark II and Justin Simon enjoy career seasons in 2017-18 after training under his tutelage during their year in residency per NCAA transfer requirements. 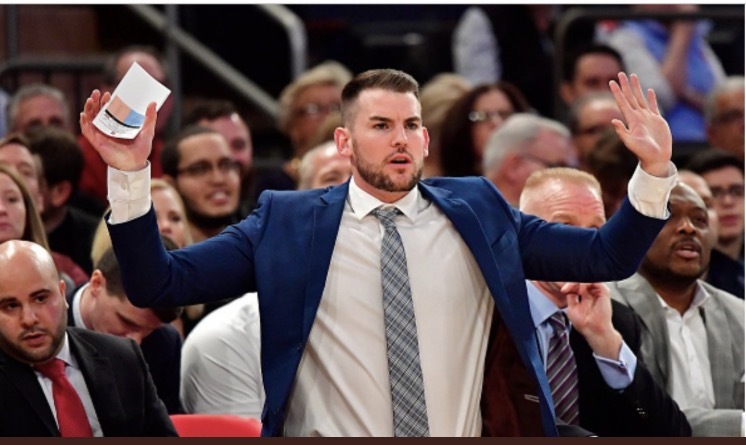 Prior to St. John’s, St. Jean worked two years with the Sacramento Kings, serving as the assistant player development coach during the 2014-15 season. The youngest member of an NBA coaching staff at the time, St. Jean, then-24, helped manage the on-court training of Kings players by implementing video and skill development sessions. St. Jean also generated extensive personnel reports and statistical analysis that were instrumental in the scouting process. The San Francisco Bay Area native joined the Kings organization prior to the 2013-14 campaign as a member of the video operations department. St. Jean was responsible for film break down of the team’s individual workouts, practices, games, and upcoming opponents. In addition, he served as a member of the Kings Summer League coaching staff in 2014. A three-year team captain at Wesleyan University, St. Jean previously worked with the Brooklyn Nets assisting with the NBA Draft combine, free agent minicamp, summer league practices, and player development workouts. He was also a member of the Nets coaching staff for the NBA Summer League in Orlando.